Technological superiority, the rise of the machines and an eventual apocalypse are often highlighted in sci-fi Hollywood movies. The unfavorable impacts of machine learning and excessive dependence on artificial intelligence have always been the hot topic for several Hollywood blockbusters, since years. And people who watch such movies develop a perception that more the technical advancement, higher is the chances that it will ignite a war against humans. However, in reality, away from the world of Hollywood and motion pictures, Machine Learning and Artificial Intelligence is creating a sensation! If we look past the hype of Hollywood movies, we will understand that the Rise of Machines is certainly not the end of the world or the harbinger of apocalypse but a window of opportunity to achieve technical convenience. Though individual are reaping benefits from AI, but it is the business world that is deriving most of its benefits. You will find AI everywhere- from gaming parlors to the humongous amount of data piled in workstation computers. Extensive research is being carried out in this field and scientists and tech gurus are spending huge amount of time in making this improved technology reach the masses. Also, Google and Facebook have placed their high hopes on AI and have also started implementing it in their products and services. Soon, we will see how easily Machine Learning and AI will stream from one product to another. Who Are The Best Users of Machine Learning? Machine learning cannot be implemented by every SaaS. Then who can be the active users of machine learning? As stated by a spokesperson of a reputable AI company, the implementation of Machine Learning is suitable for companies that have massive amounts of historical data stored. To train a puppy, you need a handful of treats, similarly to tackle an algorithm you need a vast amount of human corrected error-free data. Secondly, to get the taste of success the companies, who are thinking of implementing AI, need a proper business case. You need a proper plan before you start operating. Always question yourself, whether your machine learning algorithm will be able to reduce your costs, while offering better value. If yes, then it is a green signal for you! 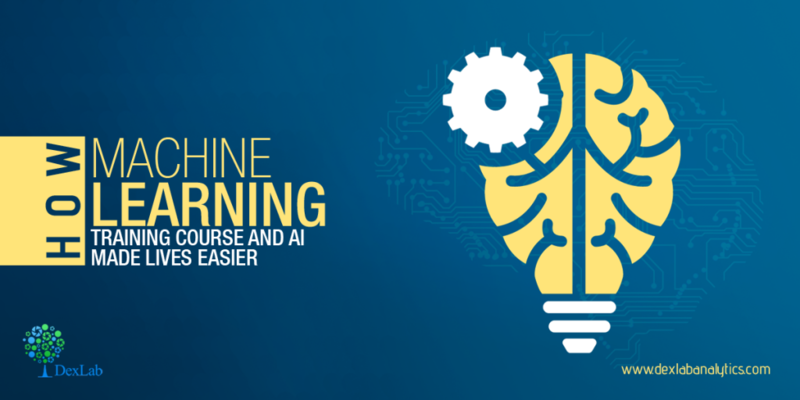 Take machine Learning course from experts who possess incredible math skills! The Machine Learning course in India is offered by DexLab Analytics. For more details, go through our Machine Learning Certification course brochure uploaded on the website.